Have you ever been guilty of saying, “go big or go home”? Normally, you would be inclined to believe that every manufacturer competing in the SUV market would be stuck with this expressive ideology. 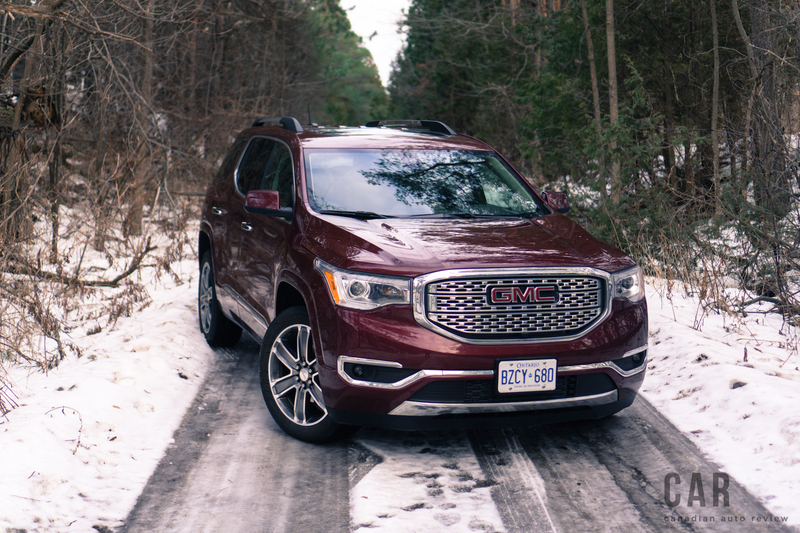 However, this is not the case with GMC’s new second-generation Acadia. 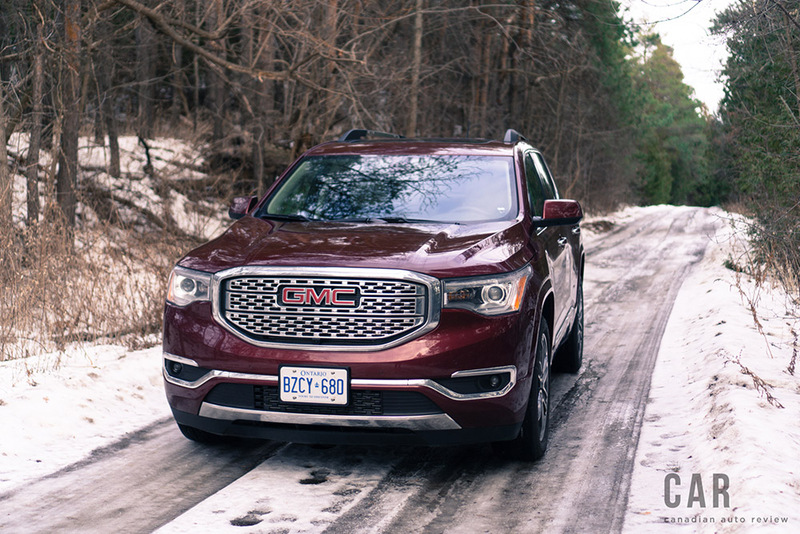 GMC has focused on downsizing their beloved crossover, but could a diet really be the right decision? 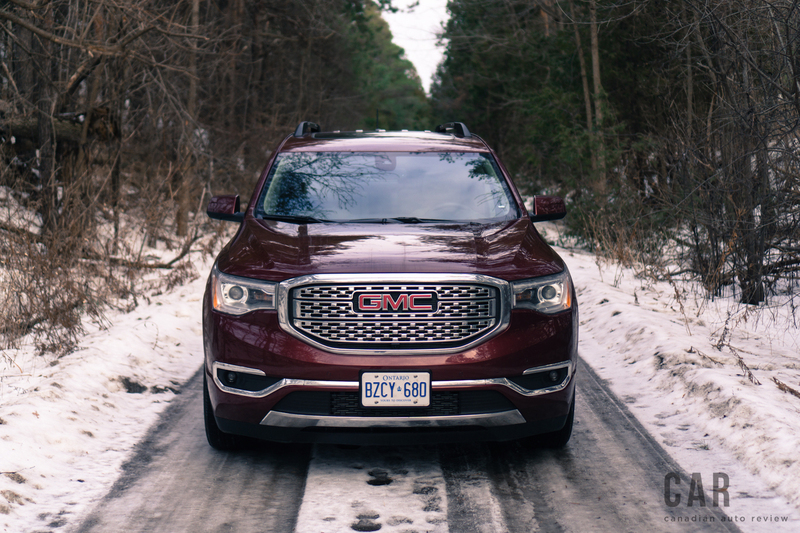 Built to appease the fuel economy Gods while matching rivals’ dimensions, the three-row Acadia is 17 cm shorter, 10 cm narrower, and a whopping 227 kilograms lighter. The result is a competitive, practical, and pleasant family hauler. 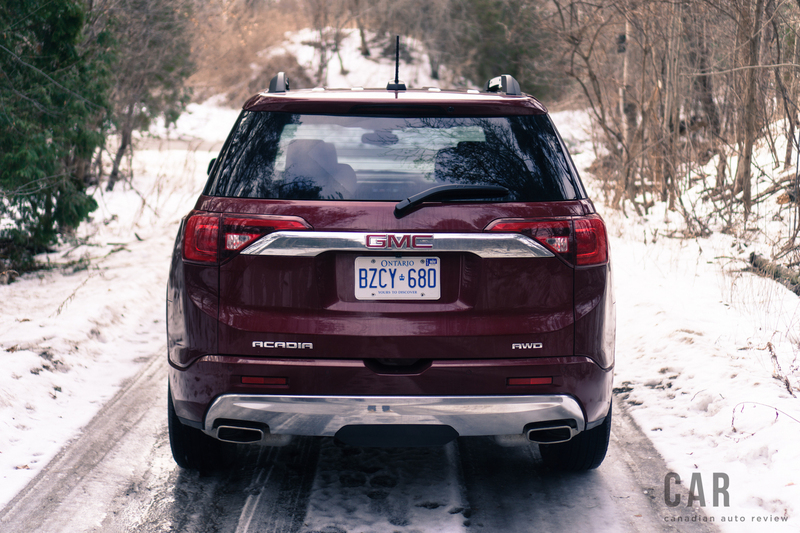 The slimmed-down body and the virile 310-hp 3.6-litre V6 engine helps to push the all-wheel-drive Acadia away from competitors, hitting 100 km/h in a rapid 6.8 seconds. Power delivery from the proven motor is smooth but the six-speed automatic does give the occasional jolty shift. 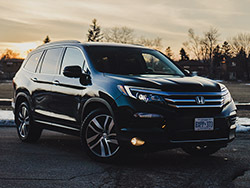 Although average fuel economy is up to 11.6 L/100km, the Acadia does marginally trail peers like the Jeep Grand Cherokee and the Ford Explorer. 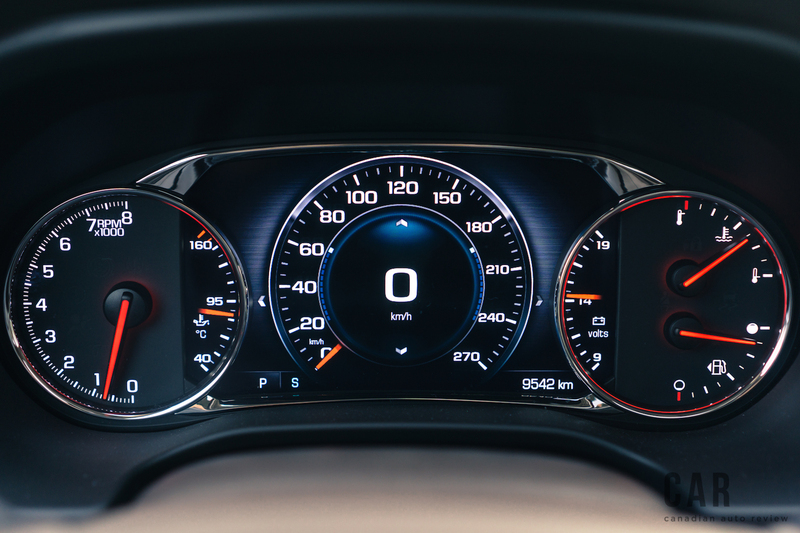 If you leave the Acadia in front-drive mode on the highway, you’ll save a litre per 100km. 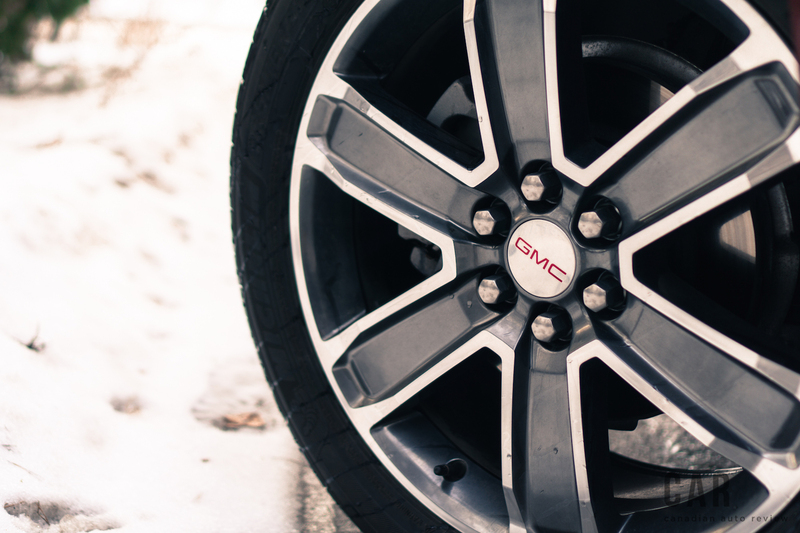 You can purchase base models with the 193-hp four-cylinder motor with front-wheel drive too but GMC predicts that most customers will tick the V6 option. 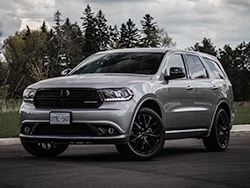 Continuing with the downsized approach, V6 towing capacity has also fallen from 2,358 kg to just 1,814 kg, below the rating of many rivals including the Ford Explorer and Dodge Durango V6, 2,267 kg and 2,812 kg respectively. 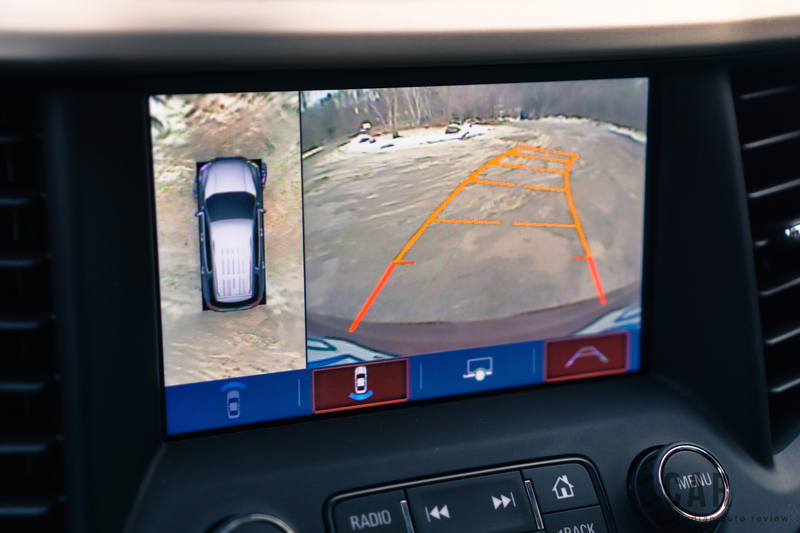 A clever feature is the optional trailering package includes an active tow view from the rear camera. Not only does it help with lining up the hitch ball when backing up to connect your trailer, it also lets you see the trailer briefly while towing. This allows for peace of mind and confirmation that everything back there is in perfect condition. Cabin quietness is an Acadia highlight especially in the top Denali trim, which benefits from added noise insulation via double-paned windows. The insulation is on par with the Honda Pilot and Kia Sorento, but far better than the Explorer we tested. 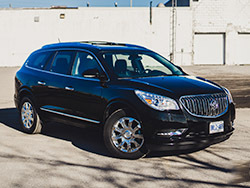 Cabin appointments line up with what you’d expect from a typical $40,000 SUV. 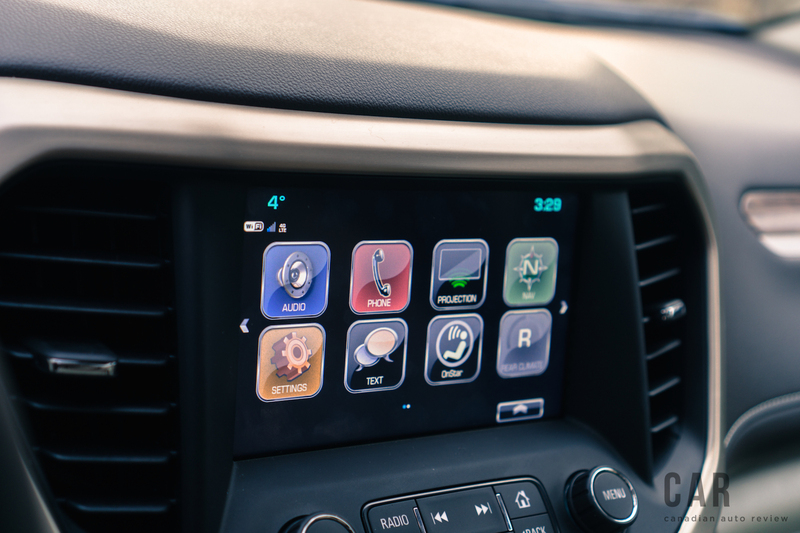 The problem is the Acadia Denali costs a heaping $54,695, which brings with it a whole other level of expectations. A luxury SUV should have an abundance of soft-touch surfaces, unique materials, and impeccable assembly. This range-topping Acadia Denali unfortunately does not tick all of those boxes. While the upper portions of the dashboard and door panels are padded, the rest of the surfaces are made up of hard plastic, including the glove compartment door and the sides of the center console. The liberal use plastic gives off a cheap look, which is the opposite impression you want to give when trying to shove a heavy-duty price tag down consumer’s throats. The carpeting looks mundane and ill-fitting edges reveal the true origins of the “wood” panels. The sunroof shade has a stiff and cheap-feeling release as well; squeeze it and the screen flies open like a runaway window shade. Then it takes too much effort to pull the shade closed. 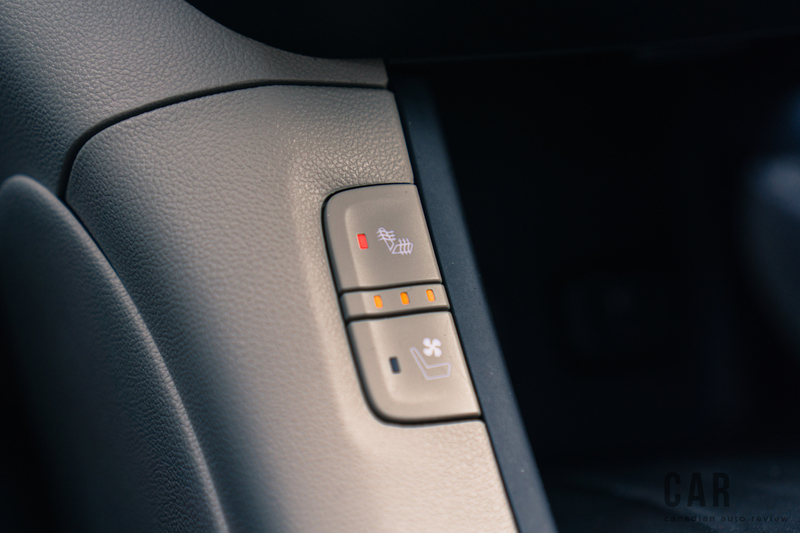 Even non-luxury vehicles often have powered shades or manual ones that can be operated with your pinky finger. My particular tester suffered from many wide panel gaps, including a large ill-fitting section that houses the sunroof controls. This reminded me more of the dark days of GM rather than some of their latest vehicles. Luckily, the remainder of the interior is not so disappointing. The front seats are well padded and comfortable. 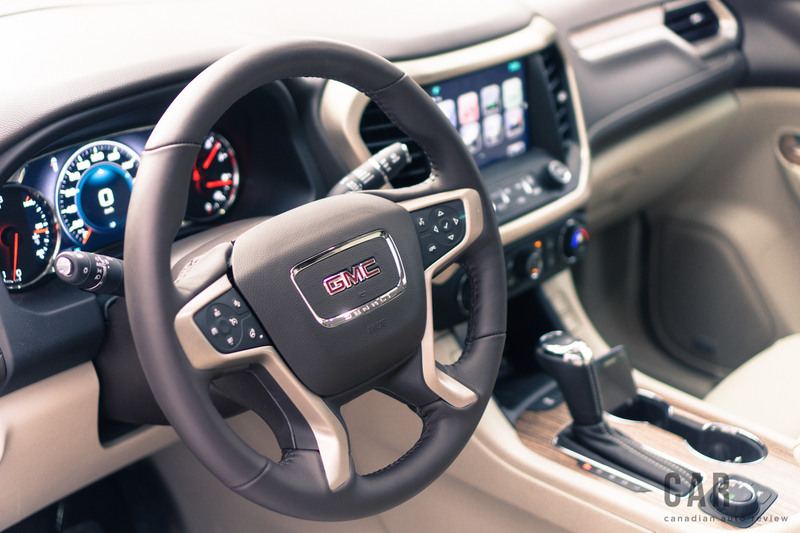 The fully loaded Acadia Denali only has lumbar adjustment that adjusts for pressure; most luxury vehicles also have a height adjustment for lower-back support. My tester had the individual captain’s chairs for second-row seating, and they are perfect for long road trips. 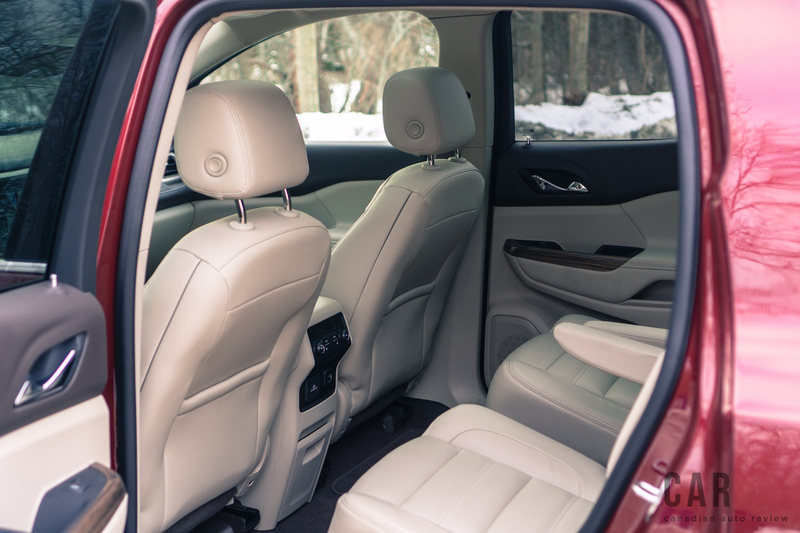 Although the Acadia’s interior does not feel as airy as the outgoing model, there is plenty of leg and knee room. The backrests of the second row will recline and the seats can slide back and forth, giving third-row passengers more space if needed. It’s manageable for two adults to sit in the third row, but not for long distances. 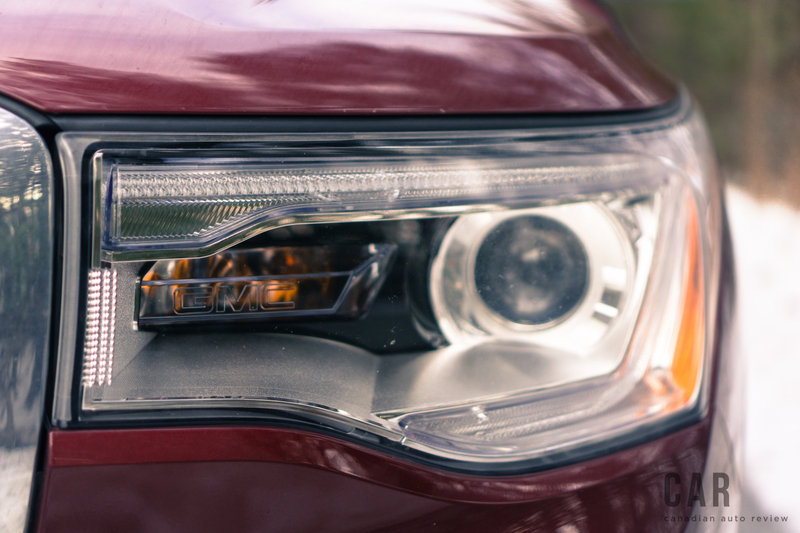 The ride is firm, yet steady and controlled, and the Acadia corners soundly. Turn-in response is prompt and body lean is reasonable. The steering has the appropriate level of effort, making it easy to park at low speeds, and it adds more weight as speeds increase. 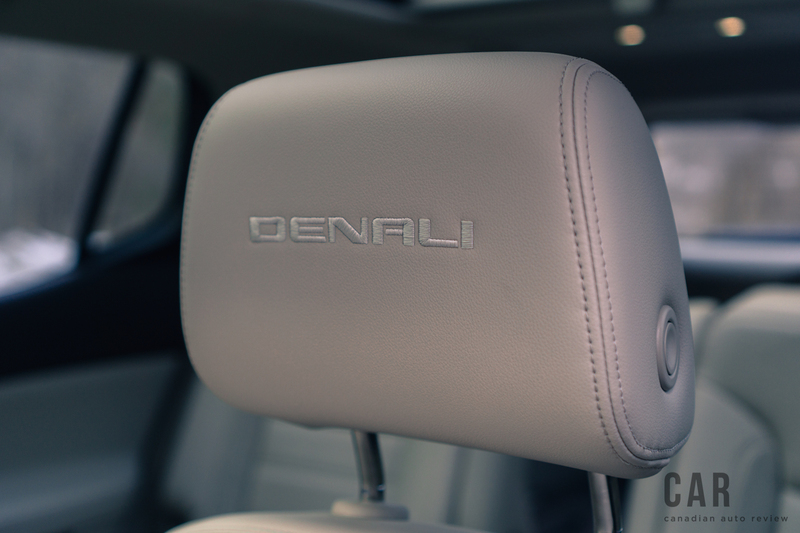 Named after North America’s highest peak, the Denali is the top-trim Acadia and it comes with a big boy luxury SUV price tag that surpasses $50,000. But not everything lives up to this lofty summit: common luxury items such as four-way adjustable lumbar support, a power sunroof shade, and auto-up windows all-around, are missing. 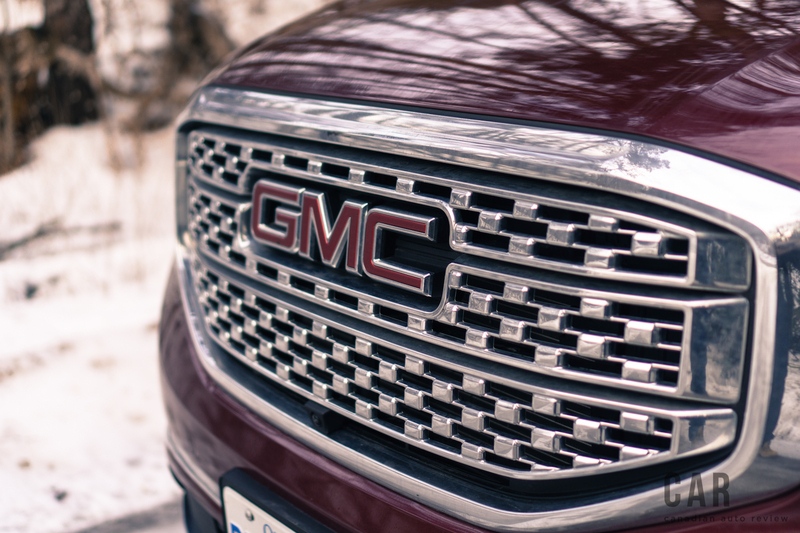 The Acadia is relatively expensive, perhaps in an attempt to position GMC as a premium and luxurious brand. 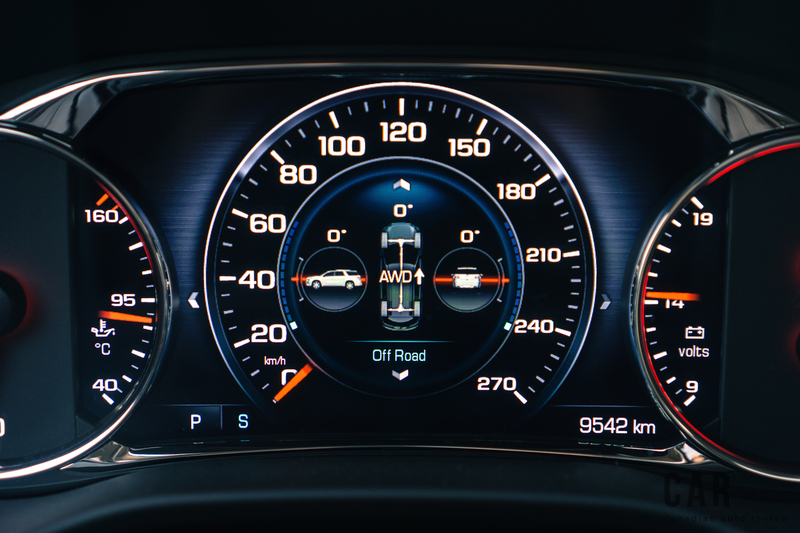 Even though its performance on-road is competitive, its interior furnishing and feature content comes across as a disappointment, especially when cross-shopped with offerings from Toyota, Hyundai, and Honda. Ultimately, the Acadia is a quiet, roomy, and functional vehicle that can serve family needs quite well. It’s unfortunate however, that GM skimped on some details and convenience features, which would have made the Acadia a proper competitor in the burgeoning crossover market.